In 2019, Team WRT will become a part of the DTM touring car series by entering two new Audi RS 5 DTM cars. Since 2016, WRT has been successfully involved in the TCR touring car category, currently with the Audi RS 3 LMS. As being part of the Audi family, team WRT has always followed DTM with great interest, and moving up the ranks to the DTM has been a goal for the team. To Team WRT the change to the new Class One regulation means that the time to get started was never better than it is now in 2019. For the first time, all-new 2.0-liter turbo engines will be used, and this will level the playing field somewhat for all of the teams. WRT will become the first customer team registered in the new era of DTM. And finally, the move to the DTM in 2019 is a wonderful celebration of the 10th anniversary of Team WRT. Also new for 2019 is the introduction of the new Class One regulations. Part of these new rules is the adoption of the four-cylinder 2.0-liter turbocharged engines (increasing the power of the cars by around 100hp to 620hp) and changes to aerodynamics (changes to the front of the cars and the rear-wing.) The philosophy behind the new regulation is to bring DTM and the Japanese Super GT a lot closer together, with the ultimate goal to have both of these world-popular series race together in the future to achieve a truly global Championship. The DTM has a very rich history. The former DTM, the Deutsche Tourenwagen Meisterschaft, was held from 1984 to 1996. The original DTM chose to be a series with production based cars, as the the ancestor of the DTM, the DRM (Deutsche Rennsport Meisterschaft) had switched to expensive Group 5 regulations in 1977 and even to expensive Group C sportscars regulations in 1982, leading to the decline of the DRM. After very successful years for the DTM in the 1980s and early 1990s, plans were then made plans had been made to transform DTM into one new series, the International Touring-Car Championship (ITC), for 1996. The governing body sought approval and support from the FIA to begin the new series. In exchange for FIA support, the ITR let the organization take control over many aspects of the way the ITC was run: crucially, the financial side of the championship was revolutionized. This meant a huge increasement of costs for the teams and car-brands, eventually making the new ITC too expensive. This resulted in a cancelling of the championship, and a pause for DTM racing. The DTM returned in 2000 with different rules. The series adopted the format of the 1995 championship, with most rounds held in Germany with occasional rounds throughout Europe. After their successes with the Audi R8 and the Audi TT RS at the Nürburgring, Audi joined the DTM as a factory entry in 2004. Audi immediately had great success in 2004 and won the championship with Swedish driver Mattias Ekström. The successes didn’t stop there, the years 2007-2009 were marked by the dominance of Audi. In May 2019, DTM will write history again with the introduction of a new era with the new Class One regulations, and with its first customer team, WRT, coming to the series. WRT started the collaboration with Maurizio Leschiutta in December 2018. Maurizio has 25-years of racing-experience with Abarth in F4, Ferrari in F1, and Maserati in GT. 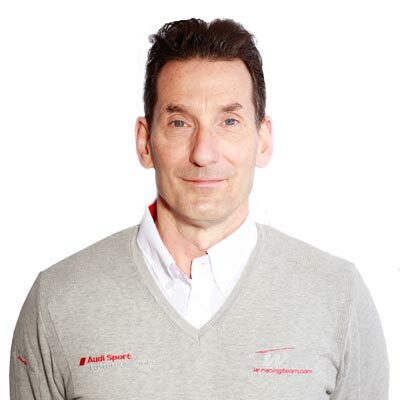 Maurizio is the Program Manager for the Team WRT DTM Program and is responsible for a team of 15 experienced professionals, including the engineering staff, and a crew of highly-skilled mechanics. 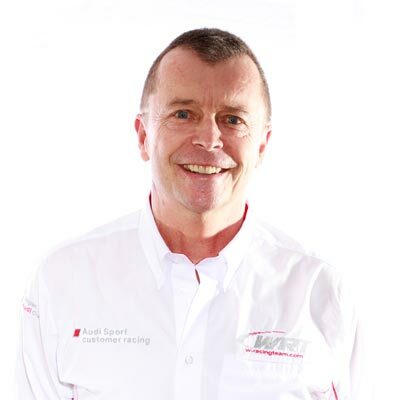 The Sporting Director for the Team WRT DTM Program is Thierry Tassin who joined WRT in 2014, Thierry is a former racing driver and his main wins are 4 times winner of the 24 Hours of Spa Francorchamps (1983, 1986, 1994, 1996) and 2 times winner of the Belgian Procar (1994,1995).